Join Merry Hanson, a very modern fifteen-year-old living in Pennsylvania's Amish country, as she faces the true-to-life struggles and heartfelt triumphs of growing up to be the best she can be in God's eyes. After her Amish neighbors' farm is vandalized, Merry resolves to find the culprit before an innocent person is blamed. With her crush on Jon Klein stymied by Lissa, Merry mystifies nearly everyone when she begins spending time with fun-loving Levi Zook. Susie Zook reminds Merry of her long-deceased twin, but the parallel becomes hauntingly similar in the wake of a terrible accident. Summerhill Secrets Vol. 1 by Beverly Lewis was published by Bethany House in October 2007 and is our 17145th best seller. 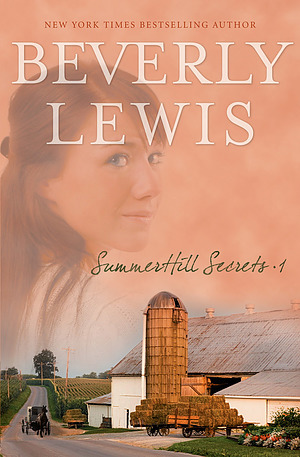 The ISBN for Summerhill Secrets Vol. 1 is 9780764204456. The more I read of Beverly Lewis's books the more I want. Both my granddaughter and myself have read this book and we both enjoyed it. It is rare to find books that are of interest to both of our ages. Recommend to anyone to buy this book. Got a question? No problem! Just click here to ask us about Summerhill Secrets Vol. 1.